Classic full bezel set 3 stone graduated round brilliant cut diamond engagement ring. Introducing our three stone, graduated Round Brilliant cut Diamond Engagement Ring, with one larger centre piece Diamond. 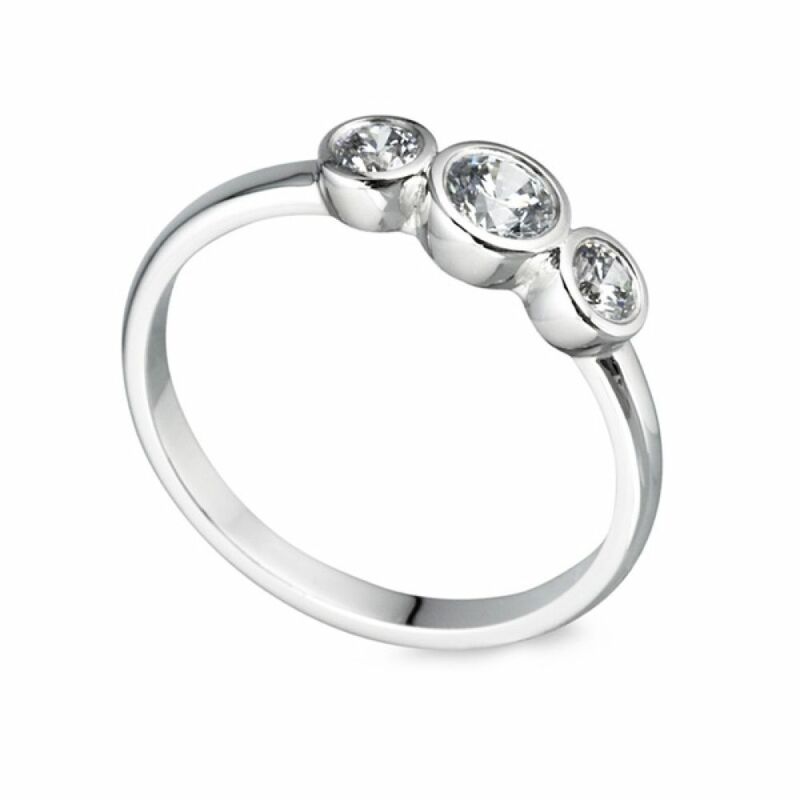 Choose from a total of 0.45cts or 0.65cts carat weights, which have been graded G Colour SI1 Clarity prior to setting. Your Diamonds will be set using a rub-over bezel setting, the most secure of all the settings, which also accentuates the curves of the Round Brilliant cut Diamonds perfectly. We can offer this charming ring in Palladium, Platinum or 100% ethically resourced Fairtrade Gold. This ring will be created for you in 3-4 weeks and delivered to your door in our bespoke packaging. Along with your ring will be a slim pocket box and the added comfort of our 60 day returns policy and free ring size adjustment if needed.